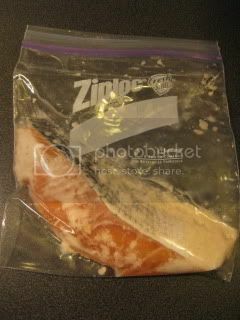 I got a couple of slices of fresh salmon filet. So, marinated them in shio-koji for a few days. I took out the salmon pieces and gently wiped off shio-koji with paper towel. 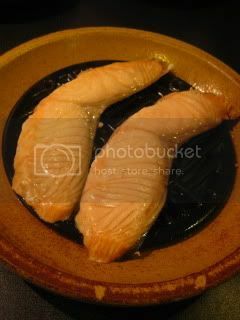 Meanwhile, I soaked the lid in water (for the nice steaming effect) and also pre-heated my donabe steam-roaster, "Tochinsai" (with no lid), in microwave for 2 minutes (so that the heating grate becomes very hot) and arranged the salmon pieces on the grate. It was covered and steam-roasted in microwave (700-watt) for 2.5 minutes. 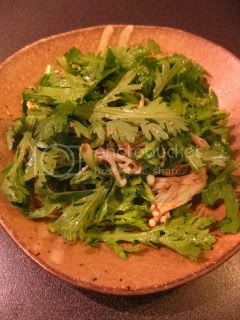 While the salmon is steam-roasting in microwave, I prepared shungiku (chrysanthemum leaves) & enoki mushrooms namul (Krean-style salad). Enoki was pre-cooked in Tochinsai and I simply tossed it with shungiku in my namul sauce (sesame oil with seasoning), and devided into two plates. 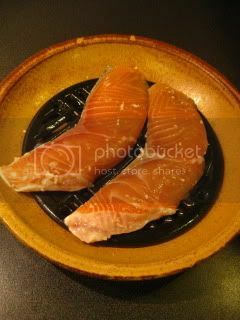 My donabe steam-roasted shio-koji salmon was cooked beautifully in such a short time. 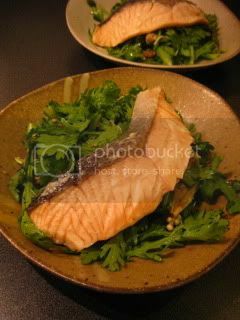 Salmon was arranged on top of the shungiku & enoki namul salad. That's it! 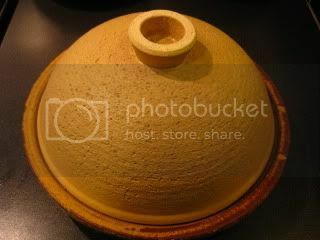 Healthy & delicious donabe dish in a very easy preparation.